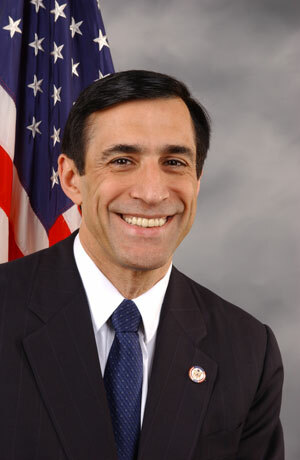 Rep. Darrell Issa (R-Calif) said Friday that President Barack Obama’s nomination of B. Todd Jones to permanent director of ATF is a slap in the face. Jones has been acting director since 2011. · Failure to hold all the ATF personnel responsible for Operation Fast and Furious accountable – Nearly two years have gone by since the congressional investigation began. Still, several key individuals identified by both Congress and the Inspector General as having played prominent roles in using reckless tactics remain with the agency. Failure to support Fast and Furious whistleblowers – The Congressional investigation, the independent Department of Justice Inspector General, and an internal ATF review during Jones’ tenure exonerated the Fast and Furious whistleblowers. Yet, Jones has never commended or publicly defended these agents who brought the wrongdoing in Operation Fast and Furious to light. These whistleblowers faced retaliation from both inside and outside the Department of Justice, but Jones has steadfastly declined to recognize their heroic efforts to stop ATF gunwalking. Perceived hostility to ATF whistleblowers – In a video sent agency wide, Jones instructed ATF employees not to complain about problems outside their chain of command. ATF released the video as Fast and Furious remained prominently in the news. Agents within ATF were concerned enough to contact Congress about what they perceived to be a veiled threat and indirect criticism of Fast and Furious whistleblowers who spoke to Congress and reporters about gunwalking after complaints to ATF officials had fallen on deaf ears. Affording special treatment to ATF supervisor cited for negligence in Fast and Furious – In a particularly outrageous series of events, one of the key players in Operation Fast and Furious accepted a lucrative job at J. P. Morgan while still on ATF’s payroll. While the agency had no obligation to do so, the supervisor was given a special waiver under Jones’ tenure as Acting Director to remain employed by ATF while he simultaneously worked for J.P. Morgan. This was apparently done so that the agent could gain seniority for his government pension. · An unwillingness to engage Congress – Jones has refused to discuss his actions and problems within his agency related to Operation Fast and Furious with congressional investigators. This position stands in stark contrast to his predecessor, former Acting ATF Director Ken Melson, who proactively sought an opportunity to tell investigators his understanding of what had gone wrong in Operation Fast and Furious and with the Justice Department’s flawed response to whistleblower allegations. Failure to apply lessons ATF has learned from Fast and Furious – Jones has, to date, exhibited a general failure to articulate to Congress, ATF agents, and the public his understanding of what went wrong, who is responsible, and what ATF needs to do in the future to be successful in its mission of enforcing firearms laws. He has not offered plans for reforming or restructuring the failed supervisory framework that allowed reckless tactics to continue for over a year and contributed to the death of a Border Patrol agent and numerous Mexican citizens. Posted: 1/18/13 at 10:59 AM under News Story.